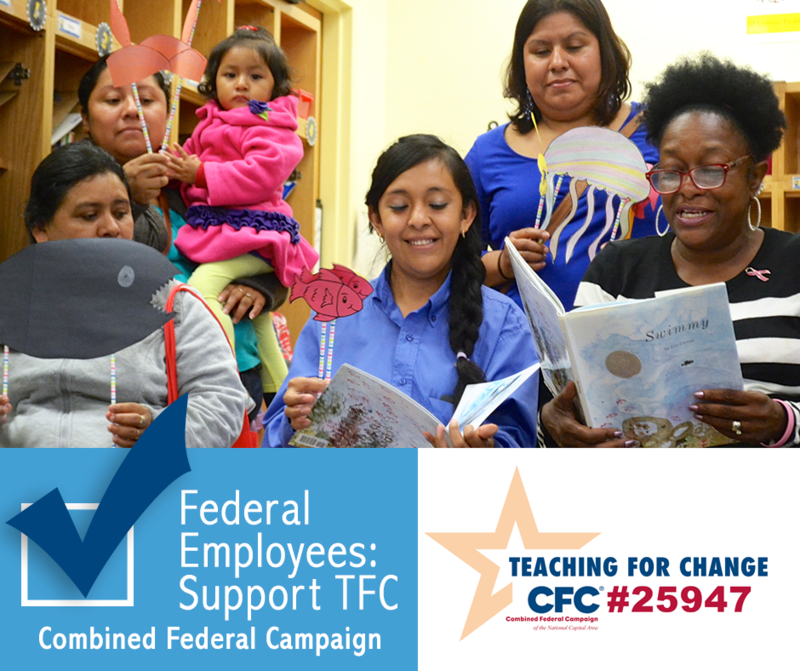 Teaching for Change is pleased to have been selected as a “charity” for the Combined Federal Campaign. Please spread the word and ask anyone you know who is a federal employee to designate Teaching for Change. The Teaching for Change CFCNCA number is 25947. Your pledge impacts the lives of the students, parents, and teachers who use our programs and educational resources.